Ep. 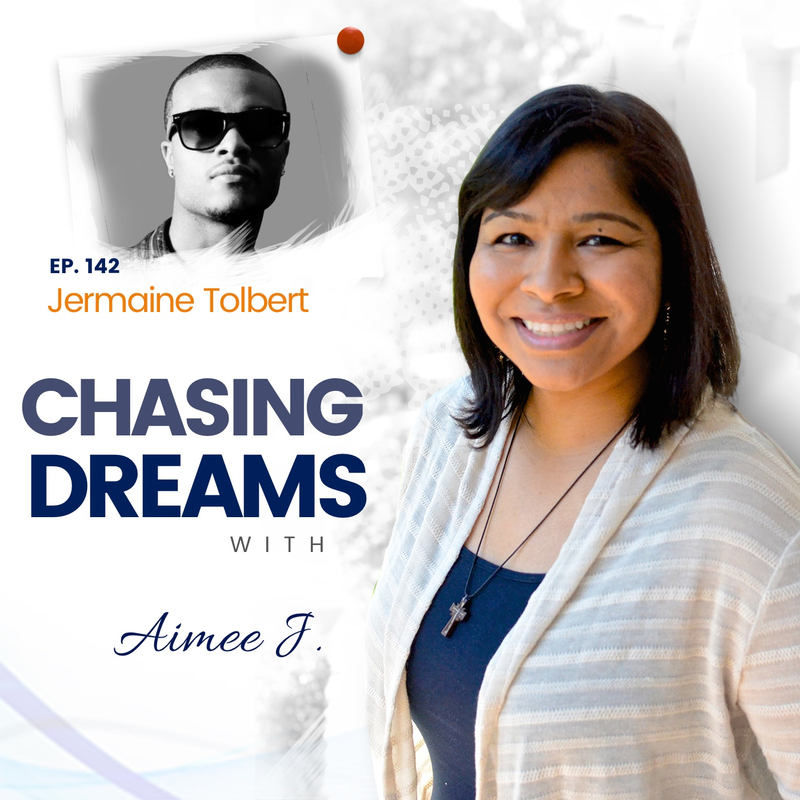 142: Jermaine Tolbert ­- Genius of A Schizophrenic | Aimee J. How important is your mental health? Of course, we all know that we SHOULD prioritize our mental health above all else, but do we? 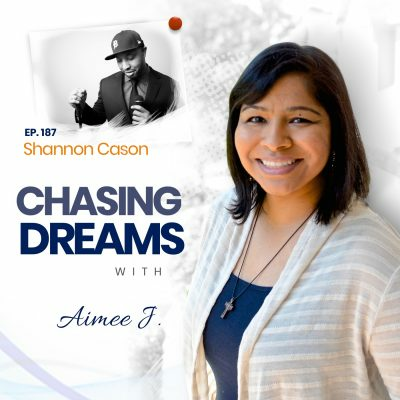 Would you walk away from your greatest dream in order to regain your mental health? 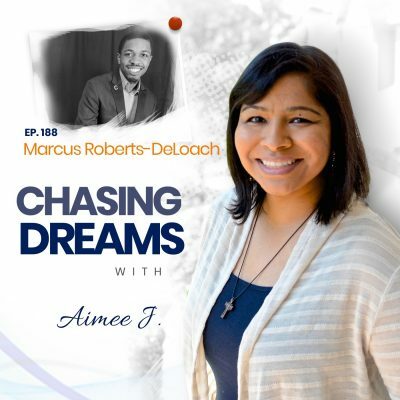 Today’s show focuses on one man’s story of success and the fulfillment of wildest dreams, but also the sudden descent into mental turmoil as drug addiction threatened to steal everything from him. Jermaine Tolbert is a Detroit native, currently living in Austin, Texas. Jermaine began to attract attention from music industry executives after posting YouTube videos in 2007. In 2010, Jermaine and J. Drew Sheard of the BET reality show “The Sheards,” along with longtime friend John Houston, teamed up under Pharrell Willams to form a group called 3D. Together they wrote and recorded over fifteen songs in route to a debut album release. Due to an unfortunate incident that caused Jermaine to be hospitalized for ten days in a local psychiatric ward in Southfield, MI, Jermaine was forced to walk away from music in order to re-develop mentally from the traumatic experience. After being diagnosed with schizophrenia & depression, and after no help from prescribed medications, Jermaine's written a book about his triumph over the diagnosis. It's set to be released in 2018. What do you do when even your family doesn’t support your dream? Jermaine encountered much negativity from his family when he first went public with his music by posting videos on Youtube. He coped with the negativity by blocking out their input and learning to avoid those people. As a young child, Jermaine’s music career began with piano at age 7, then he added the trumpet and singing to his repertoire. By the 8th grade, he was singing in the school ensemble, back when no one knew he could really sing. Through the long and twisted pathway of his life, music has been a constant friend. “I can stop if I want to”—that’s what most drug addicts say. Jermaine’s addiction and out-of-control spiral began when he started smoking marijuana and continued every day for about 7 months. Before long, he noticed different thought patterns about what reality was and false realities became his truth. Fortunately, his sister saw that something was terribly wrong and took him to the hospital. After a lengthy stay, Jermaine knew he had to figure out his mental health, even though musically, his career was hitting new heights. He felt God pulling him away from music to reconstruct himself. He says it was a very difficult thing to do, but he has no regrets about the choices he made to prioritize his mental health. Do you want to be a millionaire? Most of us would answer YES! Jermaine took his desire a step further, however, and started studying the habits of the very wealthy. One successful millionaire wrote that what makes a person wealthy is knowledge. Jermaine took this advice to heart and made a change in his mindset that helped heal his mental health. Because of the great number of people going through the same struggles he faced, Jermaine wrote Genius of A Schizophrenic with the desire to help other people. He says the book is for the everyday average person who needs help with focus and for those coming from a place of mental illness. [26:24] Why a book about the journey? [30:53] Will Jermaine go back to music?